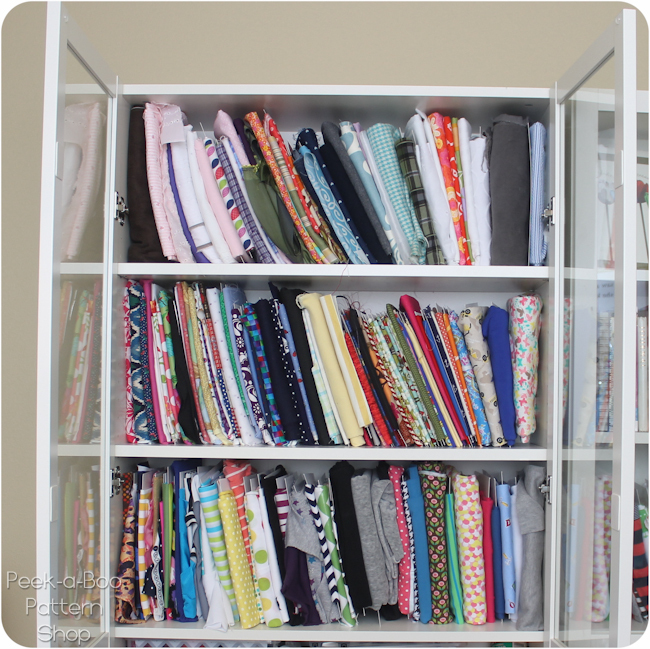 Spring Cleaning and Fabric Organization for Sewing Space - Peek-a-Boo Pages - Patterns, Fabric & More! Spring is Here. 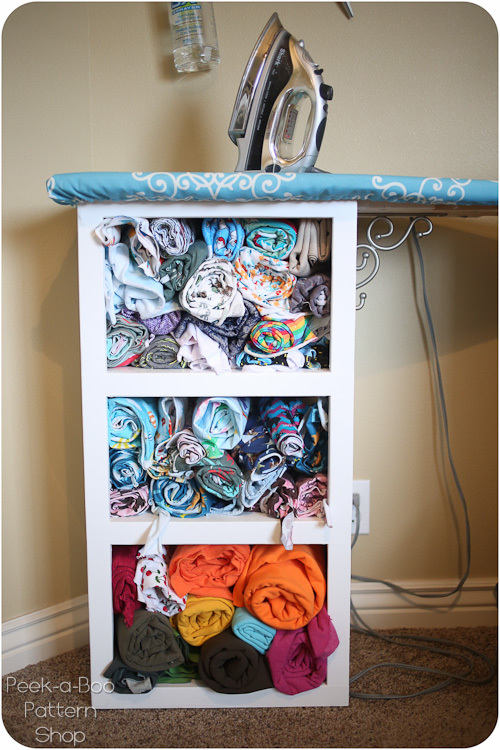 Here’s a few ideas on how to Organize Fabric, Service Your Sewing Machine, and Clean Up Your Sewing Space! 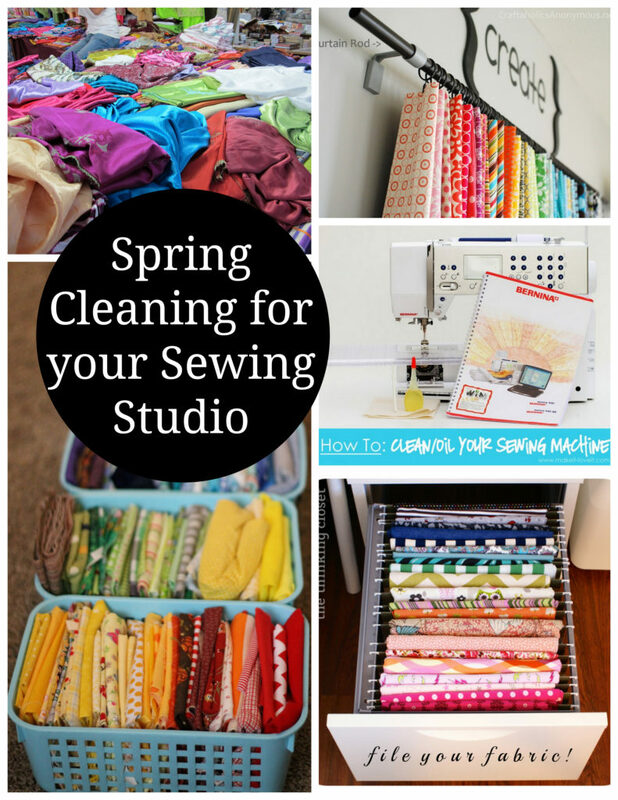 Let’s get cleaned up so we can get back to sewing! 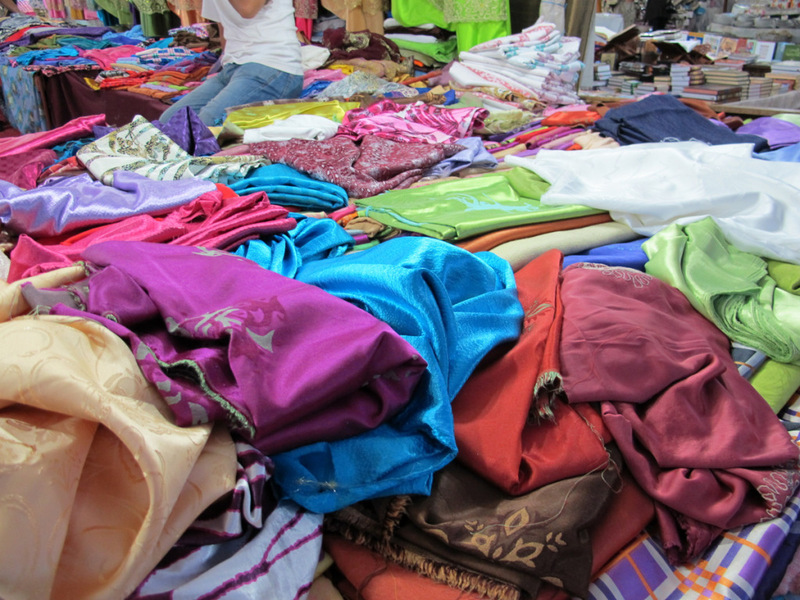 All of this little bits of thread and fabric can add up to a lot of dust! Get out your manual and read up on how to properly maintain your machine. This step-by-step guide over at Make It and Love It has lots of helpful pictures. The first step is admitting you have a problem right? 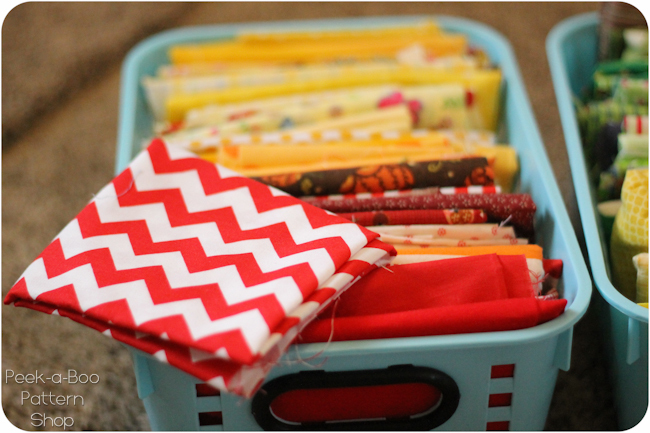 Having fabric on hand for projects is great but chances are your stash has multiplied while your back was turned and it’s time to let some of it go. But what should you do with it? I use this method for a good portion of my stash and it works great! They fit so well on a bookshelf and you can easily see what you have on hand. 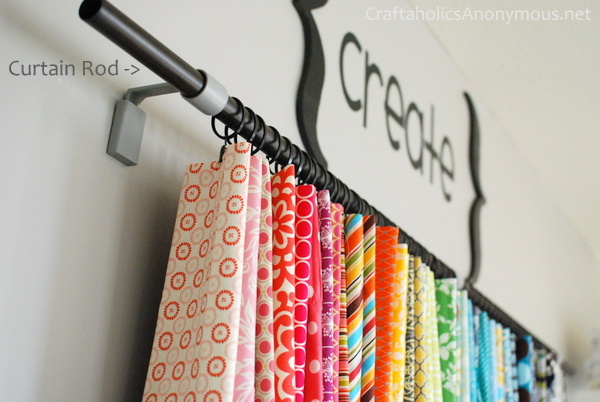 Linda from Craftaholics Anonymous hangs smaller cuts on a curtain rod. Bonus- it doubles as wall art! 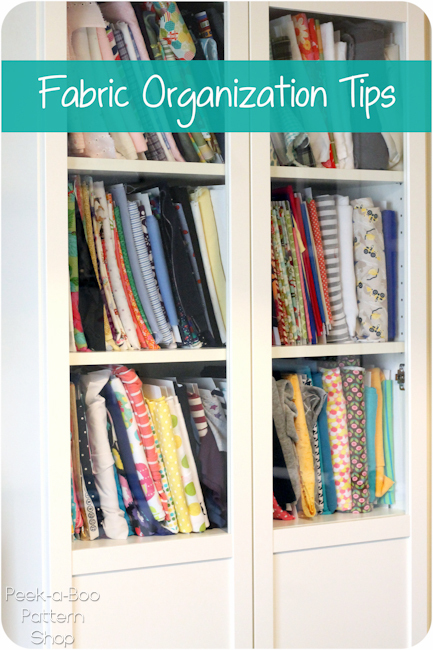 Stay tuned for my favorite tips on organizing patterns!